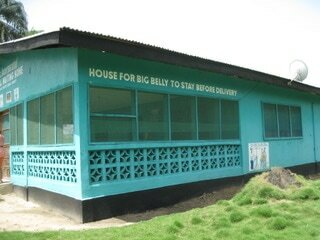 Although healthcare is provided by the state, accessing medical facilities is easier said than done in Liberia. Many towns and villages remain isolated geographically, and roads continue to bear the effects of years of war and absent civic infrastructure. For many women, having a safe place to stay in closer proximity to professional medical support could mean the difference between suffering a fistula or avoiding it. Liberia has one of the highest infant mortality rates in the world. There are 80 deaths to every 1000 live births and most chilling -- Maternal mortality stands at 994 per 100,000 lives births. Only 37% of deliveries take place in a health facility; this percentage is even lower in rural areas. We want to do more than assist the women suffering from fistula. We want to combat the source of the problem. ​Our Solution: Dignity House -- a Maternity Waiting Home that will provide a safe place where a woman can spend the final months or weeks of her high-risk pregnancy. This special campaign has just begun. We have acquired the land and taken the appropriate legal steps to begin breaking ground. Help us by making a donation toward this strategic project. 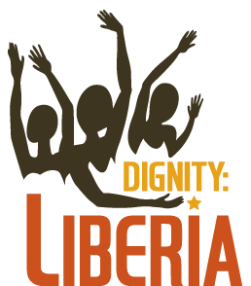 When you go to Liberia as a Dignity Advocate™ you'll see first-hand the difference our work is making and gain a better idea of how you can continue to help.